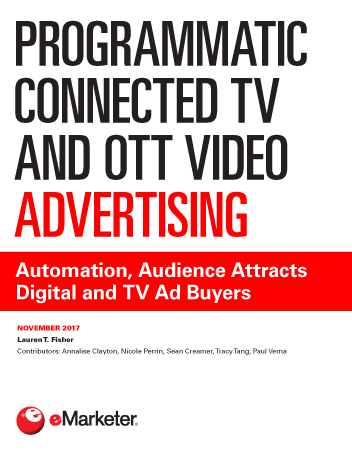 Much of the connected TV and OTT inventory that’s available programmatically must be accessed direct, from either connected TV device manufacturers or the OTT service providers themselves. More inventory is likely within the next two years, but scale may still be a factor if the ecosystem remains as fragmented as it is today. "By 2021, eMarketer predicts that about 200 million US consumers will use a connected TV and OTT video service at least once per month."